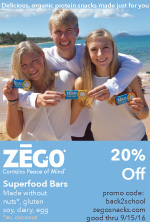 Living or traveling abroad with allergies, dietary and/or medical restrictions? Worried about translating your food and health needs to airport security in a foreign country where you don't speak the language? It's hard enough communicating in one's native language about life-threatening conditions. Add in language and cultural barriers, and travel may seem impossible. But it's not. Select Wisely, a LIFESAVING resource site you will want to check out. 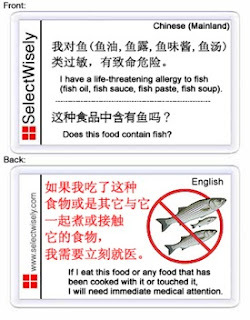 Select Wisely offers Life-Threatening Food Allergy Cards and Food and Health Translation for Travelers cards in the standard languages (Chinese, English, French, German, Greek, Italian, Japanese, Polish, Portuguese, Russian, Spanish, Swedish and Thai), as well as 20+ other options. Their homepage provides a full list of the 'Food and Health Translations for Travelers' they can provide, and this list is incredibly extensive. 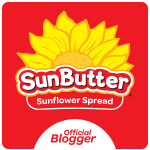 Want to know more about the food variety and simplicity of their language translation cards? Visit their 'Languages + Food' link. Looking for invaluable day-to-day information about interacting with locals in foreign countries, airlines, reading food labels and cross contamination possibilities? Check out their 'Travel Tips' link. Looking for some good websites for travel, eating food, and/or studying abroad? You may find their 'Resources' link helpful. 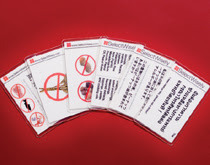 So if you're in a position to live or travel abroad, Select Wisely translation cards and services may help your dream become a SAFER reality. We are providing professional translation services from Language direct and translate all kinds of documents including legal documents. You may have online language translator to help you out of anything. I think the best translation service should be only few online companies that offers online human language translation services for almost all languages. Thanks for sharing. Authorized lawful translations simply by Professional Translation support attorneys as well as corporations acquire far more believability amongst foreign-born clients as well as separate independently from the crowded market place. By generating as well as posting multilingual specifics of the actual aspects of the law business's skills from the 'languages' of their unusual clients law firms deliver the actual message which they care about non-English-speaking clients as well as are ready to serve these well. Most web site translator will not change the language properly and they will annoy your visitors, which will end up in a drastic decrease of traffic to your website.